Coastal home decor is obviously my favorite, but finding appropriate coastal decor for my home can be difficult for even the best of us. Instead of searching tirelessly at home decor stores, make your own coastal decor instead! 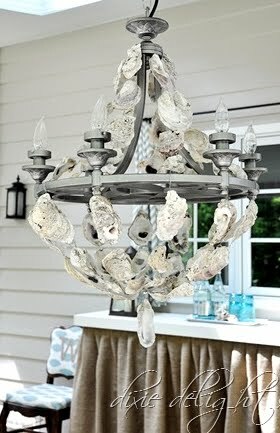 Here are a few of my favorite anchor DIYs for the coastal home. Whats a DIY article without a mason jar themed craft? 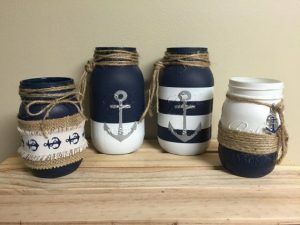 Paint a set of your mason jars to go perfectly with your coastal home decor theme. Twine and burlap give the look a “sandy” feel that always makes for a great contrast.